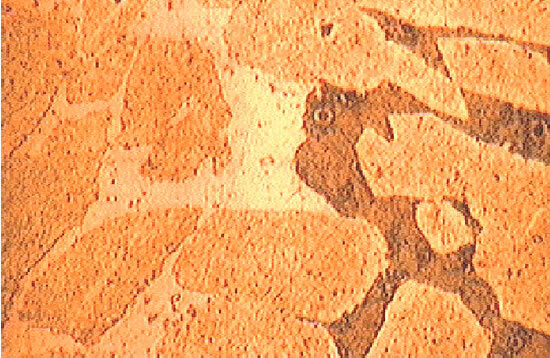 Corrosion of a ferritic stainless steel door in a sulphur-containing atmosphere. 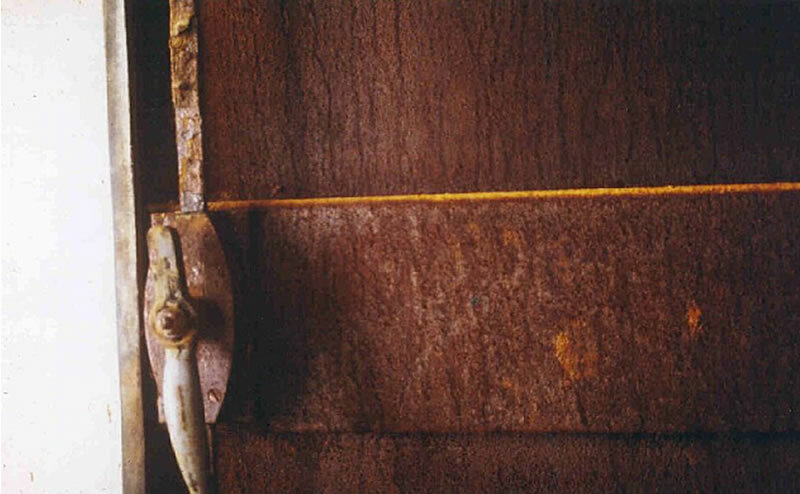 Uniform or general corrosion is the most classical form of corrosion, but is not always the most important in terms of cost or safety. 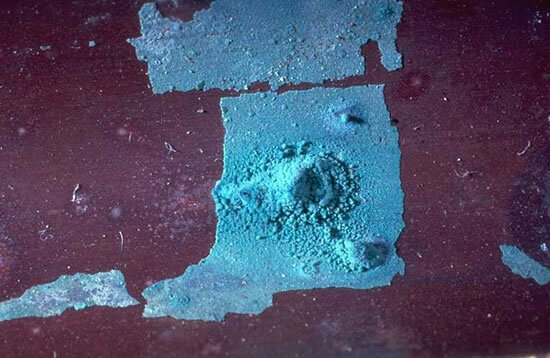 It is characterized by the existence of several individual electrochemical processes that occur uniformly over the whole of the surface considered. 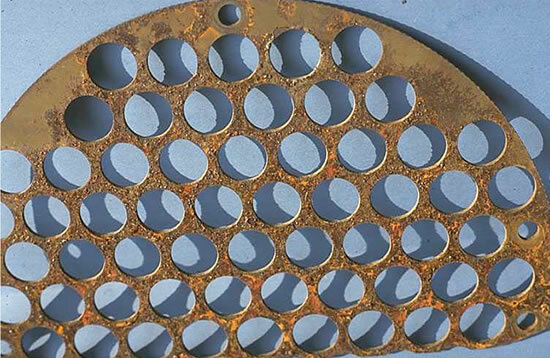 The consequences of uniform corrosion are a decrease in metal thickness per unit time (or a weight loss per unit area per unit time) if the corrosion products are soluble, or a more or less uniform deposit of these products if they are insoluble. 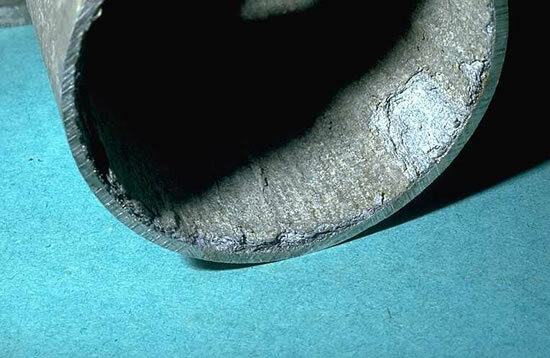 Uniform corrosion can be limited or prevented by an appropriate choice of material, including the use of metallic or organic coatings, modification of the medium (pH, temperature, concentrations of dissolved oxygen and electroactive impurities, addition of inhibitors, etc. ), cathodic protection.